Welcome to yet another colourful tech rant by LA Media‘s very own Digital Media Manager and ‘tech guru,’ Michael Jameson. In this blog, Mike provides a thoroughly geeky iPhone X review and answers that all important question- Was it worth it? 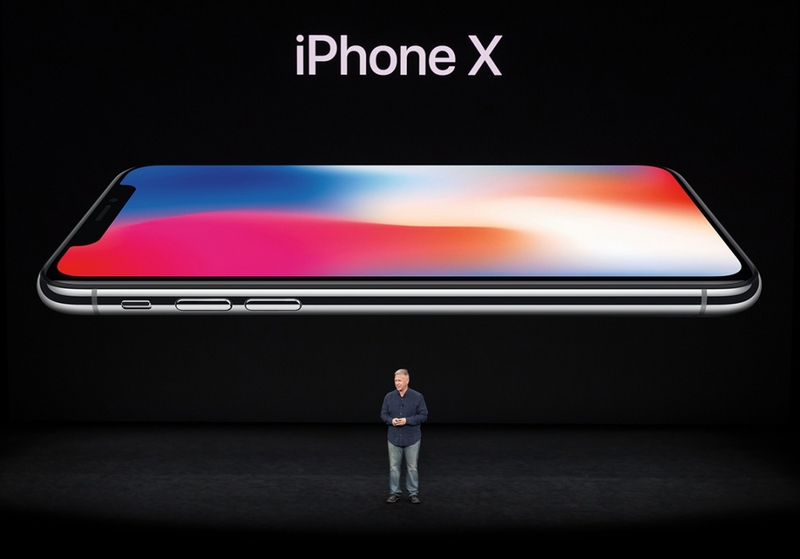 If you’ve ever read any of Mike’s blogs you will know he’s a ‘mac head.’ You may recall his reaction to Apple’s iPhone X event, where he raved and salivated over Apple’s latest tech offerings. While the rest of the office opted for the iPhone 8 or 8 Plus, Mike was adamant he’d be waiting for the iPhone X. Now that he has had his ‘precious,’ (the iPhone X) for more than a week we can now get his real thoughts on the iPhone X. Was it worth the wait and does it meet Mike’s Macpectations? Having now had my shiny new iPhone X for a couple of weeks, I thought it was about time I wrote a down some thoughts having now had the time to play with it a bit. 3 new iPhones were announced at the Apple iPhone Event in September. The iPhone 8, the 8 plus and of course the iPhone X (pronounced Ten). Coming from an ‘ageing’ iPhone 6 Plus, I thought I should wait, with bated breath and sweaty palms, for the iPhone X. It was a long month. Finally, the day arrived when the latest in Apple Tech was delivered on a frosty Monday morning. Having resisted the urge to tear open the parcel with my teeth, I managed to successfully access the new device with shaky hands and without dropping it into my coffee #winning. First impressions were NOT a disappointment. It really does look beautiful. Yes yes, I know… “It’s a Phone!” everyone cries! Well, technically it’s not anymore. This is a mobile phone-sized computer. A computer that’s CPU is faster than the latest MacBook and on a par with a 13inch MacBook Pro in synthetic benchmarks anyway. When you first pick up the phone, it feels incredibly ergonomic. The smooth rounded edges of the screen, that lead into the polished metal surround, provide a high-quality feel and finish. So much so, that I never use the silicone case I bought to house this beauty. The lack of a Home button is rather strange at first, but you quickly get used to its absence. In fact, when you try another model with one, it feels like the Home button is getting in the way. Face ID, for the most part, works seamlessly. It takes a bit of getting used to, but once you’re there, it makes getting into secure Apps like Banking Apps etc.. a much quicker process. I like the feature that keeps your message notifications just that, a notification until you look at it. People can no longer read any messages or notifications that come in on the lock screen. A nice touch I think. There are some gimmicky features, like the Animoji’s, which are fun and very clever, but something I don’t use that much. Once you’ve sent a talking poo to a few friends, the effect kinda wears off! Now we come to the screen… Having tried Netflix shows such as Star Trek Discovery, which is available in Dolby Vision (HDR), it really does make a huge difference to the appearance. Blacks are truly black and you really feel you are being delivered the colours that the show’s producers wanted you to see. Having the entire OLED screen filled with video really is rather wonderful. 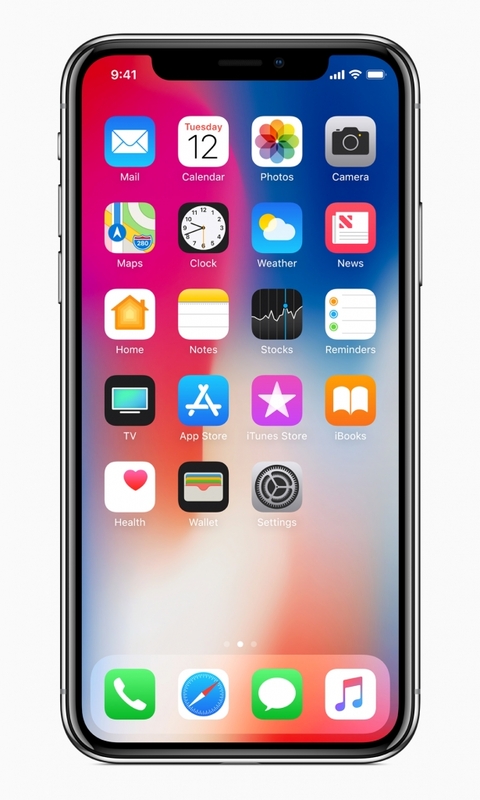 The heavily talked about ‘Notch’ – where the Face ID capabilities reside – doesn’t impact on viewing pleasure. Photos taken on the iPhone X’s camera look pretty great too – cameras on these new phones really are a triumph in miniaturisation. I’m not convinced about the Stage Lighting, but the other Portrait modes are pretty cool. Especially when you can use the Face ID camera to do it, which you can’t on the 8 or 8 Plus. Having been using an iPhone 6 Plus for the last 2 years, one huge difference is the speed that this device runs at. The X has the same Bionic A11 CPU as the 8 and 8 Plus, but it somehow feels like the software is more optimised for the iPhone X. And once you get used to not having a Home button, you really start to fly through the OS. Apps load instantly, browsing is a joy and resetting the phone is no longer a 5-minute process – more like 5 seconds! Yes, this IS still an iPhone. A very expensive one at that – £999 for the 64GB version. But it’s also much more than that. It’s a portable computer with amazing capabilities, a resounding statement in desirable technology and, when used to its full potential, really is something rather special.